Your business runs on various types of software. In fact, most businesses today would fail without the use of technology because they have become so integrated into all aspects of daily life. There are thousands of business programs to consider, but finding the best one takes patience and the ability to find the right features. These five essential features will help you discover which programs are best for your business. You should know it by now, but no business is safe from hackers. They do their best to steal files, customer information and anything else they can get their hands on. It doesn’t matter the size of your business or what industry you’re in. You can become a target at any moment. File transfer software is particularly targeted because hitting that means that the hacker can gain access to every file stored there. Be sure to purchase secure file transfer software. You should also consider security with all of your other business programs. Cloud usage has evolved throughout the years. It started as a fun feature that helped certain businesses get ahead of their competition, but now it’s an essential feature that ensures your files are always there when you need them. Not only that, but cloud software can easily be accessed from any computer whenever you need it. While you need to consider security as well, cloud usage helps you access software and files at a moment’s notice. 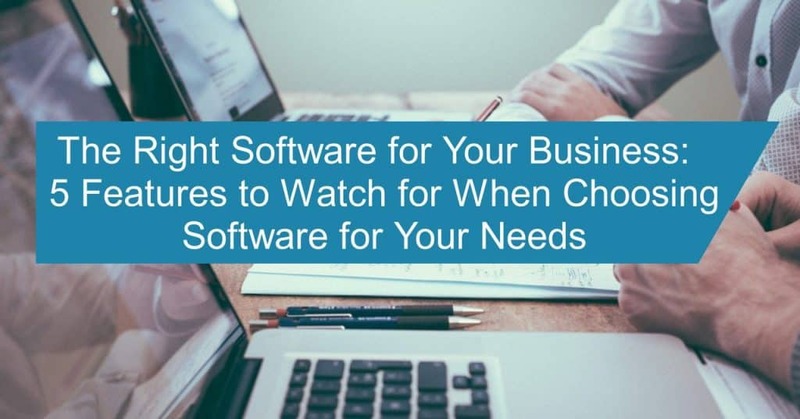 While this feature might slip under the radar for some businesses, you need to consider this when purchasing software. Every software provider should have customer service to help you if the software has an issue. It doesn’t matter if you have your own IT team or not because they may even need to call the customer service line. Choosing a software provider with a 24-hour phone line and a record of good service is preferable in this regard. You may never need this service, but it’s good to have it there if an emergency happens. One of the problems of choosing new software is that it has to integrate with your system. Whether you’re selecting a program with completely new features or one to take over for an existing program, you want to ensure that it easily integrates into your network of software. This includes the programs being able to communicate with each other and using file types that other programs understand. Choosing anything else can become a nightmare as you have to go through extra steps to ensure your work flows properly. A program that easily integrates with the others just makes your life much easier and greatly reduces down time and wasted effort. See Also: Right Construction RFI Software for Subcontractors & Project Management. This isn’t as essential as the other features, but it’s definitely nice to have. Choosing a program suite instead of a stand-alone program gives you a lot of extra features, and this often covers a wide area of your technological needs. Not only that, but a suite is designed with integration and communication in mind, so it covers the easy integration feature. You don’t need a program suite, but if given the option you should heavily consider it. At the same time, don’t get a suite if the extra programs and features don’t work with your business. There’s no reason to spend extra money on software that will never be used. Finding business software can be tough, but knowing what to look for makes it much easier. These five features should definitely be considered when looking for new programs. You need your programs to be secure and always available with good customer service and easy integration.